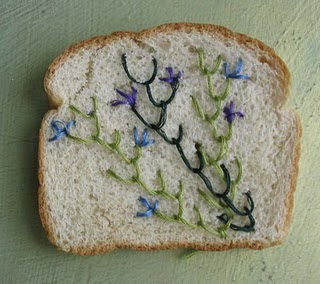 When bouncing from blog to blog to website to blog (you know how it goes) recently I came across Stuff You Can't Have. 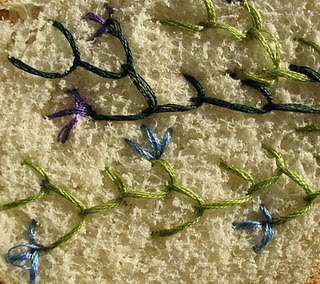 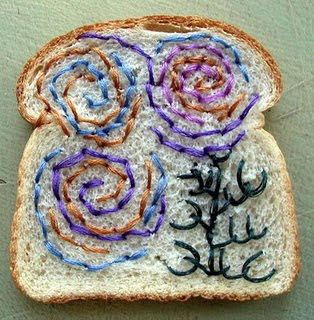 Artisit catherine McEver has started a project using Wonder Bread as her art medium.... emroidered bread, who would've thought? 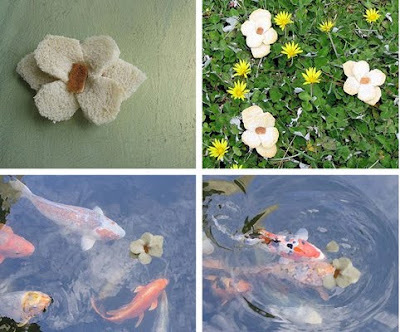 And sweet bread flowers to feed to the fish.